The man you’re going to read about, Dr. Eugene Moore, well... he’s a little odd. Vince, his neighbor back in Georgia, even refers to him as the “Mad Scientist of Madison”. With a breakthrough shown to be twice as powerful as two of the most popular joint solutions on the market. It’s miles ahead of glucosamine and chondroitin in a peer-reviewed head-to-head study (I’ll show you the amazing results in a minute). An early version helped participants achieve eye-opening results—in three separate preliminary studies from Harvard doctors (including one in which 4 participants experienced complete joint comfort). And from your aging elbows down to your overworked knees... it’s scientifically designed to help provide you with more flexibility, mobility and comfort than you could ever imagine. It’s actually all thanks to one odd (but revolutionary) discovery made by a chemical engineer named Dr. Eugene Moore one morning at his very own kitchen table in the tiny southern town of Madison, Georgia. And before I get into the specifics of this natural joint support breakthrough, let me first tell you a little more about Dr. Moore. Because while his methods may be a bit eccentric, he’s also one of the most well-respected scientists in his field. But he considers the joint-soothing breakthrough you’re about to see one of the crowning jewels in his long and distinguished career. Because he didn’t do it for the money, the patents or even the recognition. To help ease his only daughter, Ann Marie’s, own joint concerns. And Ann Marie had shoulders, knees and hips that gave her those everyday joint concerns. But nothing gave her the freedom of movement and the blessed sigh of relief she longed for. So Dr. Moore set out on a personal quest to find real support for his daughter’s joints. One that was altogether different from those disappointing dime-a-dozen joint formulas she’d already tried over and over again. And after months of leafing through dusty medical journals, mountains of scientific studies and stacks of old notebooks—he stumbled on something incredible. It was a study done by a Harvard doctor that seemed to have been published with little fanfare and all but forgotten. It showed that a form of collagen from everyday barnyard chickens was producing an altogether unique immune response. And this approach was getting unbelievable joint comfort results. Even more impressive, the researchers reported four participants even experienced total joint comfort. But there was a problem... Dr. Moore couldn’t find the collagen anywhere. But Ann Marie’s joints sure were... And so was Dr. Moore! So he rushed out to the grocery store...bought as many chickens as he could carry and set up a fully functioning lab in his very own kitchen! He worked all hours of the day and night. His neighbors started wondering what the heck was going on over at the Moore house! But after months of trial and error, countless hours of research and God only knows how many sleepless nights, he finally had something he felt could work. So he made sure it was safe, gave some to his daughter and... waited. After just a few days, she started to feel it. Her movements were more fluid. She was feeling more comfortable than ever before. And after a few days, Vince’s joints were as freewheeling and easy as ever! And it’s been refined by an award-winning manufacturer into the joint comfort miracle we know today as UC-II®. 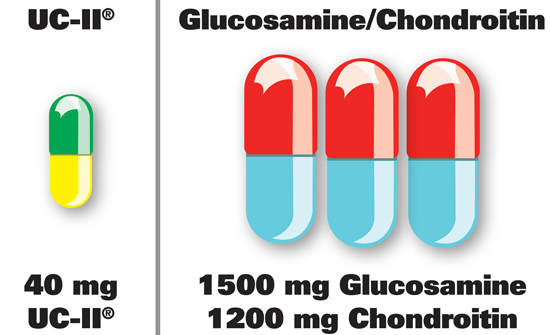 In fact, just recently, a double-blind study involving 52 participants measured the effects of just 40 mg of UC-II against 1,500 mg of Glucosamine and 1,200 mg of Chondroitin... COMBINED. So much so that they’re currently the top-selling natural joint support products on the market and routinely account for hundreds of millions in sales. You heard that correctly... Just 40 mg of UC-II supports joint comfort, mobility and flexibility TWICE as much as 2,700 mg of Glucosamine and Chondroitin. The “Mad Scientist of Madison” has done it! And keep your joints moving free and easy... especially on your most active days. Once these results went public, the health community took notice in a big way. ...went so far as to call UC-II the “breakfast table breakthrough that could change joint science forever”. In fact, he’s so impressed by UC-II, he’s decided to make it the centerpiece of an advanced joint formula. A joint-soothing miracle known as SemperFlex. SemperFlex uses a revolutionary tri-action formula to help soothe, improve and protect your overworked joints. First, I’d like to show you another way SemperFlex works to help flood your joints with comfort. If you have joint concerns, then you’ve probably already heard of Boswellia Extract and its amazing ability to help soothe those everyday aches and pains your joints face due to age-related wear and tear. There’s one in particular that really stands out for its ability to help keep your joints smooth and comfortable. 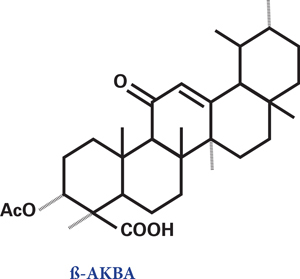 An amazing active ingredient known as AKBA. This one single molecule alone helps Boswellia soothe over 113 genes directly related to everyday aches and pains on a cellular level. So it normally requires a larger dose for you to feel its soothing effects. It’s also notoriously difficult for your body to absorb AKBA, so it can be hard for it to get to your joints and start working its magic. But thankfully, so did the developers of a groundbreaking joint-supporting ingredient, known as AprèsFlex®. The researchers behind AprèsFlex developed a patented method of concentration that guarantees a minimum AKBA level of 20% in every dose. That’s more than 6 TIMES the amount found in natural Boswellia Extract. Better, faster joint comfort and protection—that’s what! 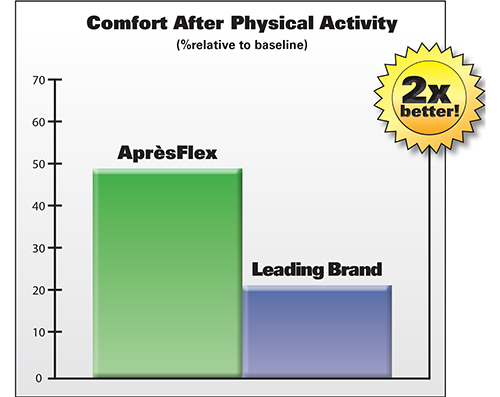 AprèsFlex goes to work on your joints better than one of the most popular Boswellia brands on the market! With AprèsFlex, the soothing power of AKBA is rushed to your joints, and the difference it makes in your comfort and mobility is second-to-none. Now it’s one thing to say this, but you and I want proof. But we aren’t the only ones... so did the scientists behind AprèsFlex. So they used the gold standard of joint comfort tests, the WOMAC Scale, to test AprèsFlex against one of the top-selling Boswellia Extracts on the market for 90 days. In short, when it comes to AprèsFlex, there’s simply no substitute. Whether you want to work all day or dance the night away, AprèsFlex makes sure you’ll do it in comfort with joints as smooth as silk. Many of which you’d never suspect could have an impact on your joints. They all seem harmless enough but they’re actually the 5 most innocent foods that could be sabotaging your joint comfort. I know... I was surprised too! But it’s a sad fact that everyday foods such as eggs, poultry, fried fish... (and many, many more) are loaded with AGE toxins... Especially when grilled, fried or broiled. So what does this have to do with your joint comfort? AGEs can cause inflammation in everyone. They’re virtually everywhere you look! Milk, eggs, bacon... you name it. But there IS a way to help fight the effects of those AGEs and help support overall joint comfort. All you may need is a simple natural ingredient known as Bromelain. Which is why you need some soothing help for AGEs. In this open-label study, 77 participants were given either 200 mg or 400 mg of Bromelain and then asked to measure their comfort level before they began taking it and again after 30 days. 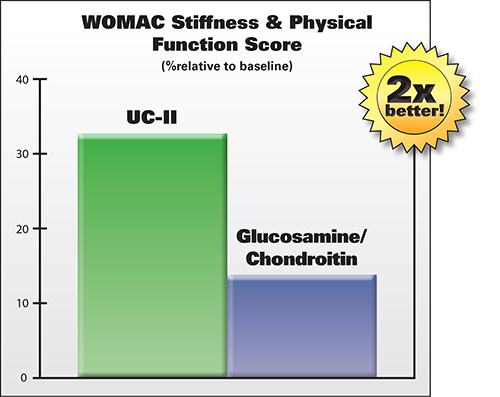 As before, this study used the Gold Standard of joint comfort measurements, the WOMAC Scale... And the results show exactly why Bromelain’s potential makes it an absolute must for your joint comfort and mobility. And the group that took 400 mg of Bromelain reported even MORE improvement in all three areas when compared to those who took the smaller dose! So the more Bromelain they took, the better they felt! And Dr. Rothfeld thinks Bromelain is so important to your overall joint comfort that he’s not stopping at 200 mg, 400 mg or even 600 mg.
He’s authorized our development team to pack SemperFlex with a whopping 750 mg of Bromelain in every dose! You won’t believe the difference in joint comfort you’ll feel with Bromelain on your side. Whether you’re walking, running or jumping, Bromelain helps you do it all with more comfort than you’ve ever imagined. But believe it or not, Dr. Rothfeld wouldn’t let us stop there. Because there’s one more threat to your joint comfort out there that almost no one is talking about... And it’s growing every day. So what is this mystery menace that could be affecting your joint comfort? The same process that causes apples to turn brown, strips paint off your car and turns metal to rust is causing problems inside your body (including your joints) as we speak. And as levels of pollution have risen over the centuries... So have our bodies’ oxidation levels. Over time, oxidation takes its toll on your joints and contributes to those joint concerns that come with age. And like AGEs, oxidation is an unavoidable reality of life in the 21st century. That’s why Dr. Rothfeld insisted on what he thinks is one of the most powerful antioxidants around. And there’s a reasons he’s excited about this simple little ingredient. For one thing, tart cherry is absolutely jam-packed with vitamins such as A, E, K, B3, B5, and C... As well as minerals, such as calcium, magnesium, phosphorus and potassium—all working together to help decrease oxidative stress and help soothe your joints. In fact, a study performed by Oregon Health & Science University said tart cherries do more than any other food to help promote a healthy inflammatory response. So why do your joints need such a powerful antioxidant? Scientists have suggested that in many situations your ability to resist oxidative stress declines with age. But tart cherry helps make it a fair fight by supercharging your natural defenses. So you can fend off oxidation at the pass. Or getting in a quick 18 holes with your buddies. For SemperFlex, this truly is the “cherry on top”. Frankly, Dr. Rothfeld has been doing this a long time and he can’t think of a more advanced joint formula. 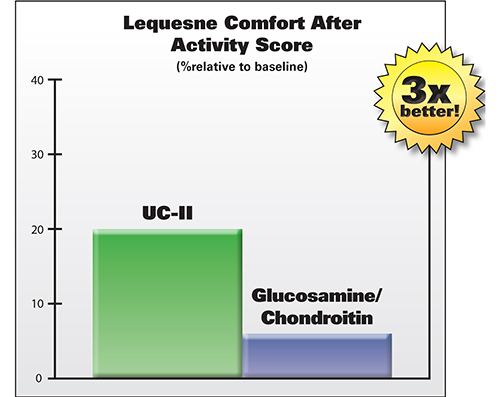 UC-II: The “Breakfast Table Breakthrough” that doubles the comfort you’ll get from joint giants Glucosamine and Chondroitin. 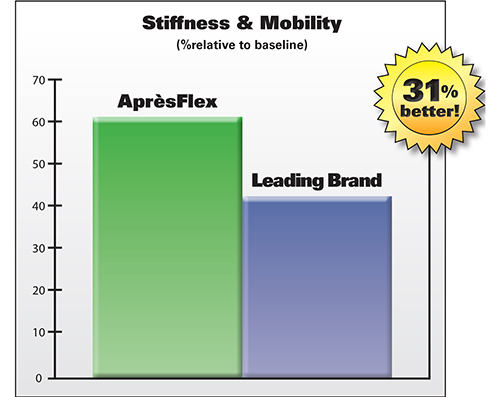 AprèsFlex: The patented form of Boswellia Extract that works to soothe your joints better than even the most popular brands on the market. Bromelain: The joint “junk” fighter that helps combat the effects of AGEs by promoting a healthy inflammatory response to help ease your joint concerns. And Tart Cherry: The “ultimate antioxidant”, that helps fight oxidation and could take your joint comfort to new heights. Whatever it is you want to do! SemperFlex makes sure you do it with more joint comfort and support than you’ve felt in years by combining these four revolutionary ingredients into three easy-to-swallow capsules. And with the amount of science, research and hype surrounding these ingredients, we expect demand to go through the roof. So I want to be sure you can always get SemperFlex—and at the same low introductory price it is today. And that’s why when you place your order today, you can lock in this low price* by adding our free Auto-Delivery Service at no charge. That way, when everyone else finds out about the awesome power of SemperFlex—you’ll already have your bottle AND the low price you pay today will be locked in forever*! Yes, even if demand skyrockets like we expect and our suppliers start charging more and more—that cost will NEVER be passed along to you. And it couldn’t be easier. In fact, you don’t have to do anything. We’ll keep you enrolled in this free service for as long as you want! You’ll never have to call to reorder or worry about the price going up—or deal with any hassles of any kind. When you check the Auto-Delivery Service box during checkout, right before you’d run out, the same credit card you use today will be charged and your next order will conveniently show up right at your door...plus the shipping’s on us! And we give you complete control! You can change the timing of your deliveries, place your order on hold—or even change the day your credit card is charged all with a quick phone call. And if you ever want to, you can cancel at any time. And remember—all of this is absolutely FREE. Because once you’ve tried SemperFlex—I know you’ll never want to run out. And with our Auto-Delivery Service, you won’t even have to think about it. How can we offer a 100% lifetime guarantee? So that’s why we’re confident enough in SemperFlex to let you try it for as long as you want, risk-free. Give SemperFlex a try for 2 weeks, 2 months, 2 years...it doesn’t matter! If you don’t feel a dramatic difference in your joint comfort, flexibility and mobility, then simply return your bottles and we’ll pay you back every last cent of the product price! No questions asked. And that could be the last time you feel that creak in your back when you bend to pick up the package, that tweak in your legs as you carry it up the stairs, and that kink in your neck as you throw your head back and swallow. Because you’ll be one of the first in the country to feel these four cutting-edge ingredients working together to soothe, improve and protect your aging joints. You’ll practically feel SemperFlex massaging your back, kneading your fingers and rubbing your neck. Heck, even if you just want to play putt-putt with the grandkids without feeling those tweaks and twinges—SemperFlex has what you need. So reach out and grab it today and finally experience what the next generation of joint comfort has in store for you. Get your risk-free supply of SemperFlex now...while it’s still in stock. P.S. 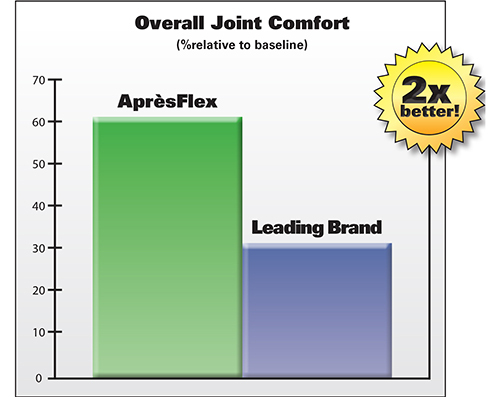 SemperFlex truly is the next generation in true joint comfort. A tri-action formula that works to soothe, comfort and support your aging joints with 4 cutting edge ingredients. 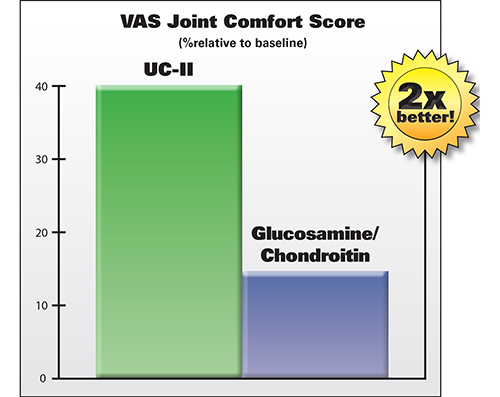 Including the joint comfort breakthrough, UC-II... clinically shown 2 times more effective than Glucosamine and Chondroitin COMBINED at improving joint comfort, mobility and flexibility. Try SemperFlex today risk-free by taking advantage of our “Relief or Refund” Ultimate Lifetime Guarantee. Don’t miss out. Place your order today. UC-II® is a registered trademark of InterHealth Nutraceuticals, Inc.
AprèsFlex® is a registered trademark of Laila Nutraceuticals exclusively licensed to PL Thomas – Laila Nutra LLC. International patents pending. Some images are property of Thinkstock.com. "I have used this supplement for my auntie and found the effect most rewarding. Will not hesitate to recommend this for joint pain." —Manny Charles, Vancouver, British Columbia* *Individual results may vary.